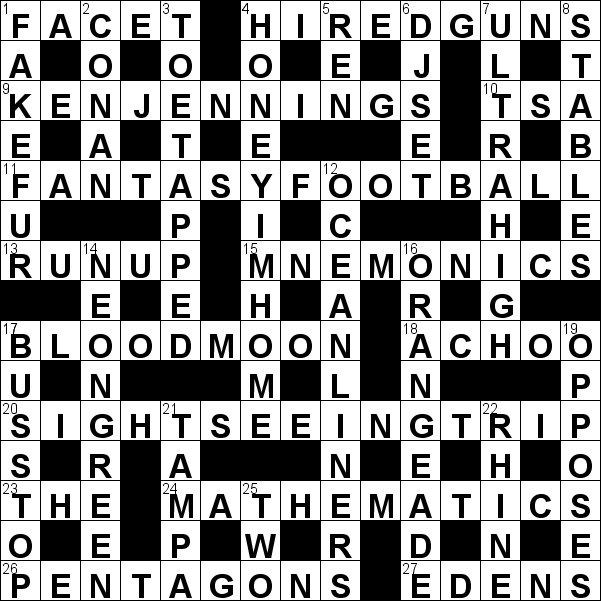 This is a diagramless crossword puzzle, though there aren't that many clues for a 15x15 grid; it turns out to be a cryptic-style grid, where every square in an even row and column is black (one potential clue to this is that every answer has odd length). Whenever two numbers for the same clue are given, across always comes before down. 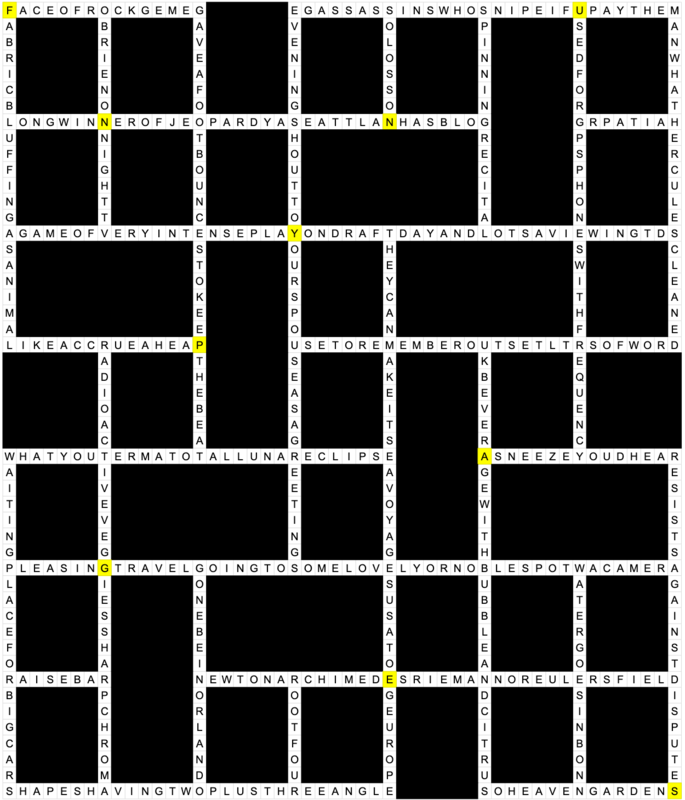 Taking the places where this grid overlaps with the answer grid, we get the squares highlighted in yellow. Reading those in row major order, we get the answer, FUNNY PAGES. The inspiration for this puzzle came from an unlikely place - imagining if a crossword grid were made of the same material as a diaper and could expand if water were added. That's what inspired the first few titles of this puzzle, but nobody understood any of them so we changed it to this. We initially planned to improve the clues after the first round of testing (if u pay them, two plus three angle, etc.) but we ended up keeping them since we thought they were funny and the first set of testsolvers thought their ridiculousness made them a clear target of further observation. Our favorite clues are 1-Down, 4-Across, 9-Across, and 23-Down. We're sorry about the entry DJ SET, which was harder than expected - we intended to change the clue but then there were more fires to put out, and it wasn't vital to extraction. We hope it didn't trip you up too much.